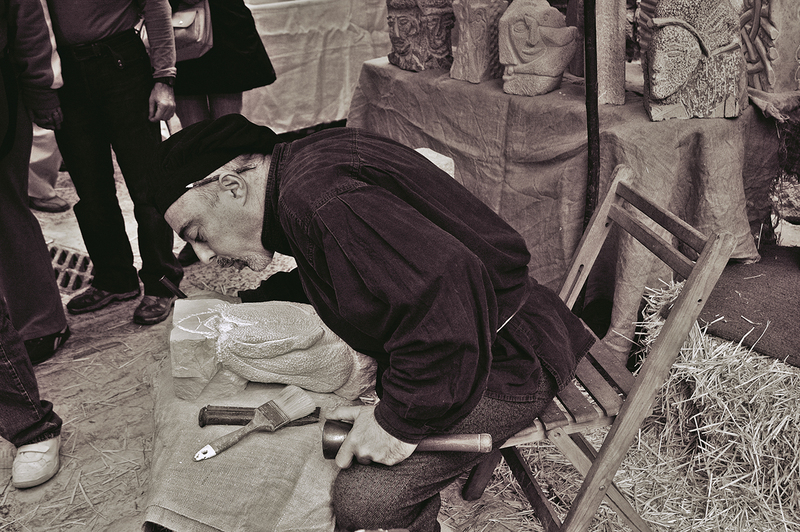 I felt like black and white today so I selected this stonecutter in the Medieval Fair at Súria near Barcelona (see the original color image here). 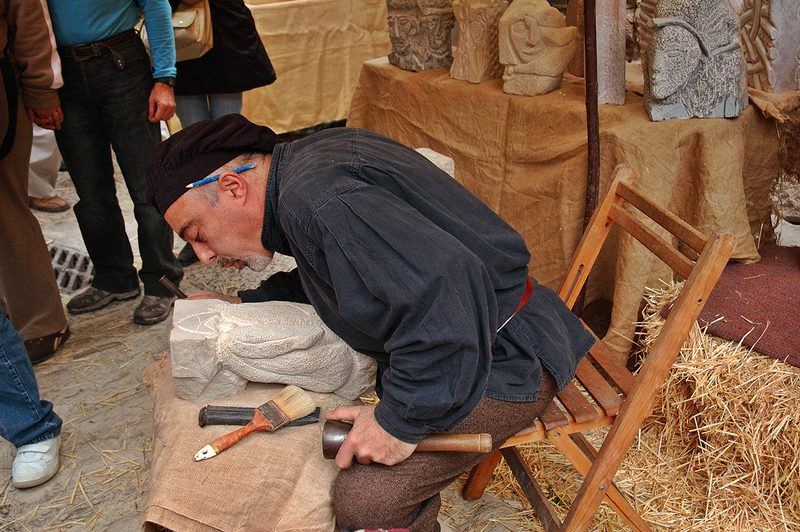 True craftsmen disguised for the occasion showed you the secrets of old medieval trades. There was the basket weaver, the coal burner, the potter, the weaver, the glassblower and a long list of other crafts represented. Stonecutters or stonecarvers were highly appreciated and well paid at the time and their history is linked to the masons lodges of the middle ages. Learn the secrets of this art here. An amusing reading to learn about medieval crafts, especially stonemasonry is The Pillars of the Earth by Ken Follett. I couldn't help thinking of Tom Builder when I saw this man. how wonderful you caught the vivid moment!!! and those culture or the treasure knowledge about the past time is so mysterious for me,and attracted me anytime. Hi! I'm a girl from Barcelona. I love your blog! Your pictures are great! Tom Builder... qué libro más maravilloso... Me gustan mucho estas fotos tan espontáneas, sin posado ni premeditación.